Remember when Nintendo projected it would sell 20 million Switch consoles in the current fiscal year? The prediction was met with pretty widespread derision, with many industry analysts claiming it was far too high to be achievable – especially when you take into account the Switch's second year on sale, which arguably had fewer first-party smash-hits to rely upon. Despite this negativity, it would seem that there's a chance Nintendo's estimate (which it has stuck by through thick and thin) is actually spot-on. 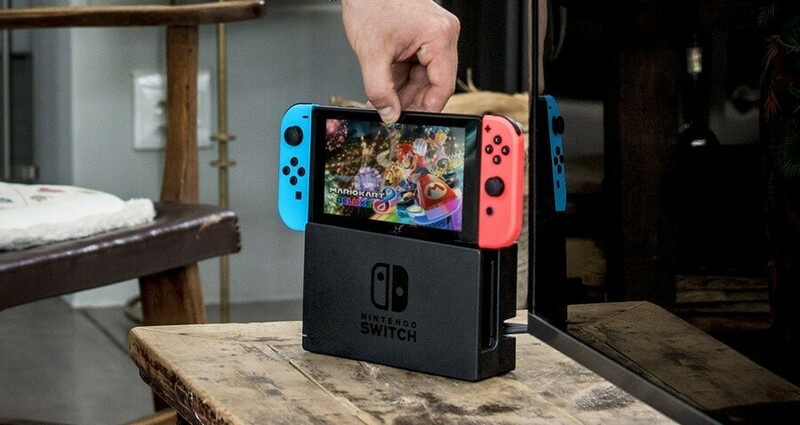 While there's no solid sales data as yet – that will come direct from Nintendo's official channels at the end of the month as part of its Q3 results – the Wall Street Journal's Takashi Mochizuki is reporting that things are definitely looking up for Switch. According to Mochizuki's report, Switch holiday sales were 'unexpectedly good', and some analysts believe Nintendo sold 10 million Switch units between October and December 2018 alone. As a result of this positive gossip, Nintendo's shares are now up 5.1 percent this week and 8.9 percent for the month of January, which is good news as share value plunged 15 percent at the end of 2018, some of which was down to Nvidia's current woes. When those Q3 results come in, we'll know for sure if this is solid info or just idle industry chatter. The end of the fiscal year is March 31st, so Nintendo still has a little bit of time to close the gap on that magical 20 million. Let’s hope they get that Metroid trailer out to keep up the momentum. A lot of people are going to be eating their hats if Nintendo manage to reach their 20M target. And even if they don't reach 20M this FY, getting around 17-18M would still be very impressive. Wait. Analysts are surprised pokemon and smash sold well? How is this unexpected? That’s it I am opening a firm. @Ryu_Niiyama Well. Not just Pokemon and Smash, also Mario Party. It's almost at 1 million in Japan alone... not sure why everyone slept on it. With NSMBU this month and Yoshi in March, this quarter should be strong as well. "But Pokemon Let's Go is just a spin-off and Smash Bros Ultimate is just a Wii U port and nobody bought the Wii U to play Smash Bros..."
If you go in with that mindset, then of course the Switch's success will surprise you. To be fair, 20M was a very high estimation even if you consider these games to sell like they usually do. They just didn't think it would go THAT well. The estimation was bold on Nintendos part, Pokémon and Smash or not. Not impossible, like a lot of people thought, but bold. Okay so 2017 was what like 15 to 17 million switches, of course they would say they were going to sell 20 million for 2018, because investors only care about growth. If we go by that logic for 2019 will they make another bold claim of 25 million? Here's to another 20 million in 2019/2020 fuelled by Animal Crossing, Metroid, Bayonetta 3, Fire Emblem, Daemon X Machina, Yoshi, Pokemon... And that's just from Nintendo! What a year (hopefully!). So with last reported numbers for up to September showing as just shy of 23m units world wide we can now assume that Nintendo has broken 33m units or there about. They would still need to sell another 5m units in the last quarter to hit that target. If the will get 37 milion in 2 years. Wow. With good games. Third party woke up and now they will put more and more games on switch. Massive fan base will grow up. Switch 2 with amazing power will be market killer. I can get a bet playstation will copy big N again. Microsoft getting all studios. Gaming market will change. @Scottwood101 Yes, I am also looking forward to this year! I just put a deposit down on a physical copy of Yoshi. All these games mean more switch sales. What a great time to be a nintendo fan! they need 37.8m total. from the media create wkly numbers they are currently 3.1m in japan which should mean around 15.5m global ( ie japan = 1/5 ) so still a bit to go over next ten wks, i think it will beat last yr but not quite make 20m, maybe 18-19. @Medic_alert shipped. So you are looking at possibly up to 2m+ more than you calculated during the Christmas period. So roughly 3m more, give or take need to be SHIPPED in q4. HA! Someone bought a Switch! Clearly fake news written by at the direction of Illuminati master Miyamoto! Everyone knows NO ONE IN THE WORLD is interested in this silly toy! I definitely don't have one that I play every day! And there is no way anyone I know has one! I certainly didn't buy my best friend one for her birthday! All fake news I tell you! FAKE NEWS! @Madder128 A new Pokémon or Animal Crossing trailer would do a better job at that, they are the real system sellers. Though personally I'm equally as excited for Prime 4. Switch's future is looking very bright! Nintendo: "To celebrate 20 million Switch sold, we are giving away free NES Super Mario Bros at the eShop!" @jockmahon yeah... I was also sure they had China all lined up to put up such a bold target... What with tencent being on board and all, it looked like a sure thing. If they can achieve that number with the somewhat lackluster 2018 (compared to the amazing first year in terms of games), I can only imagine what 2019 might be with the games we know are coming and a potential slight price drop! If they dont hit 20, it's at least gonna be close. And share price will drop even if they hit 18-19 because that's just how it goes. I hope they come short by 1-2 mil and share price drops. Because it would be eliminating fluff. Inflated price due to emotions. Better to fall just a bit short and let stocks stay at reasonable levels, only to impress again later (since if they sell 19m they're still technically doing just as amazing as if it were 20) than meet the goal and see prices balloon further out of control. And what goes up must come down. Best to do well but without speculation inflating stock price. Cause it will surely pop and then you have negativity. I wonder if this is all a clever game played by Ninty. A self- fulfilling prophecy game that worked by boosting industry confidence therefore stock levels and store presence, customer confidence, media attention (“they’ll never reach 20m” etc). How clever and manipulative! Now where’s WaveRace and Metroid? I even thought it was a stretch, but it will be impressive if Nintendo has managed it, for sure. Now is the time for hype building Ninty! Bring us Metroid Prime 4 teasers and videos! Bring on Bayo 3 footage and throw in some Daemon X Machina vids! NOW IS THE TIME! @Heavyarms55 I understand and love the sarcasm of your post, but there are people that will read "PSVITA4LIFE" and have another excuse to say all Vita users are whiny fanboys of a dead system. As a Switch and Vita user I ask you not to say that last thing, the rest of your post is funny and I like it's tone, but for some the "PSVITA4LIFE" is another reason to bully the passionate Vita community. I believe 17 million is very reasonable, but I totally see it I know good chunk of people who have picked one up and a few more who really want one.. If they sold 11M during the holiday season they still need about 4M in the last quarter that will be hard to achieve but nonetheless this will be impressive numbers. Absolutely NINTENDOOM baby! Yay for Nintendo I guess? The big takeaway to me is the Switch did excellent over the holidays. Nintendo is back. Third party games should come back in earnest now. That's the great news to me. Seems Nintendo's banking hard on Smash and to some extent on the Let's Go series for the Christmas season was the right decision to do. I guess everyone who wanted to play Smash and did not have a Switch yet got the Switch during Black Friday or similiar adopted deals in other countries and Nintendo made bank. I am happy, because this seems to be the Wii all over. I’m praying that Bayonetta 3 comes out this year. I just finished 2 and it was an awesome experience. I never had a Wii-U so I’m late to the party lol. Jokes aside, this is looking really good for a year with not as many games. So imagine next year. I saw this coming a mile away. Pokemon Let's Go and Smash are gonna sell over 15 million (Smash maybe 25 million) easily. @JaxonH You are wise my friend. I still hope they go even over 20 millions just for the excitement and to be able to gloat a bit (lol). But in all seriousness you wrote some wise stuff up there. @JaxonH Honestly, stock prices should fall a bit when missing targets by 2 million sales, although I agree with everything you've said. Nintendo had an astounding year either way, and prices do jump unrealistically. Likewise, people will overreact and stock will drop too far before stabilizing. But a modest drop after missing out on ~$600 million in revenue should be expected. @Rayquaza2510 I got some bad news for you pal. Bullies never need a reason. If someone is looking to treat you like crap, they're just gonna do it. It's a sad reality. I got nothing against the PS Vita. In fact, I wish it had had a wider library of games and been more successful in the west. A fine device. Well Nintendo is easily already at 30 million sold to date since release, it is very possible. go Switch, go!! Incredible progress! I still think they’ll fall short. It was a big ask. Maybe one more big title last summer would have made the difference. Reality is anything over 18 million is a huge success and will put the system on 35 million in 25 months. That’s up there with the quickest sellers ever. @Heavyarms55 oh but I didn't say you have something against the Vita, your post didn't give me that feeling at least. Don't agree with that,the console sold 17 million in it's first year so with momentum 20 million should not be a massive ask inho. Never doubt the power of Nintendo! It's not even Smash or Pokémon, there's a ton of variety of games in all fronts: first, third party and indie games are flooding the games selection the Switch has to offer! I will eagerly be awaiting those awesome Q3 results. I've been wondering how Nintendo did during the holiday period since the New Year. Not surprised. I figured Pokemon and Smash would be enough. Imagine the sales when they release Super Monkey Ball Deluxe on Switch! Wooo-weeee. @Medic_alert @Chibi just so you know. All companies use shipment figures in these instances, = sold to retailers. These figures will always be higher than sold to consumer figures. Otherwise supply would run out. Well technically shipments weren't much more than sales to consumers near Switch launch period as there were massive shortages! @Medic_alert Maybe, maybe not. In this instance the author of the original document has been deliberately vague, given that its not concrete proof, just his projection but if it is indeed 11m sold to consumers then shipments would likely be 12.5m at least. If the Switch actually ships over 10 million units during the 2018 holiday quarter, it will be the 3rd gaming platform in history to have ever done so, after the Wii and NDS. As I have said before, Nintendo will either hit their 20 million unit shipment target or miss it by at most 2 million units. @Chibi even more reason why arguing the point is moot. My statement simply repeated the facts of the story with the information I had. Given that there was no information to conclusively contradict me there was no reason to was there? @Medic_alert These figures are NEVER sold, always shipped. The part that may confuse you is that sold is usually mentioned but all it means is sold to retailers, which you are confusing with sold to consumers. Shipments to retailers are obviously much (Between 1 and 2m typically) higher. @Medic_alert @Medic_alert There were reasons to contradict you, considering your knowledge seems pretty limited on these matters. The reason why the difference between shipped and sold to consumers is relevant is that Nintendo is much much more likely to be able to reach the 20m in the last quarter by stuffing the channel. Not the best thing to do but doubtless something else i will have to explain to you. @Chibi Nintendo doesn't saturate the market so by what your saying the fact would be all that was sold minis 500k-1 million would be the total number. With that being said retailers do not saturate their shelves with consoles so to have 500k out there is nothing. All consoles have that many on the shelves so the figures stand for them also. @Dirty0814 hey i totally believe they could reach 25 million this year they have some absolute bombs dropping with Pokemon and Animal Crossing. I think 2020 will be Mario Kart 9 and possibly a new Zelda probably Metroid Prime 4 and Bayonetta 3 as well if they don't release this year. @Chibi I'm not confused and you haven't got a clue - you are guessing. You decided to try and be a smarty pants and you fell flat and now you are trying just a bit too hard to justify your point. Think Smash alone will drive sales to their goal. Think the sales goal is pretty realistic. @Medic_alert Unfortunately for you, its you who hasn't a clue yet resents my attempts at educating you. Mind you, talking to some people etc. As you are so well informed maybe you could explain to me why you didn't have a clue what shipments were? Or maybe you could give me your definition of channel stuffing? Of course i will have to wait now while you search it lol. Theres really no telling some people! @Chibi your assumptions about me are ridiculous. I have no idea what channel stuffing is and neither did I assert I did. You think you are educating me by providing no evidence or basis for your assertion - the words of the article say otherwise but of course you must be right. Then you condescend to me acting like you are some great authority on the topic that I should listen to without question. I sure hope you don't teach for a living. @Medic_alert All summed up in your first paragraph. You admit to knowing nothing about channel stuffing and you proved yourself that you don't know the difference between shipments and sales. Yet you claim I'm making ridiculous assumptions about you. I'd say I'm pretty spot on by the look of it. If you dont know what it is then what is the point of providing proof? As for the original article it didnt specify whether it was shipments or sales. You think it doesnt make any difference, however it does in the last quarter. I would explain but you are too ignorant to heed. Idk. Educating the uneducated. Especially snowflakes. @Chibi see not knowing a term like channel stuffing has nothing to do with whether I know the difference between sales and shipping. Three different terms three different definitions. And yeah it does say sales whether that is correct or not I don't know but that is what the article says. You see when you start making assertions that you know these things definitively it is on you to satisfy the burden of proof otherwise you are just mouthing off randomly with nothing to back it up. The reason it makes no difference is because the whole calculation changes all the figures have to be adjusted for whether it is shipped or sales but you arrive at the same result because all of the figures talk in the same terms including the predictions. Now when you start trying to insult me by calling me a snowflake (and by the way it was you who got all defensive when I asked for proof of your statement) and uneducated you automatically lose face. You may have had a point, but we'll never know because you were unable to support your point in anyway and resorted to name calling. @Tantani Smash already over 10 million. I do think so myself, but ya never know. Let's Go is near the 10 million mark. If they keep selling, they'll do it. So some leaked NPD data has come in, and sadly, it doesn't seem like the 20 million unit forecast is achievable anymore. The Switch needed massive sales in December, and while sales were still huge (it handily outsold the XBO + PS4 combined), they weren't huge enough. I expect Nintendo to lower their 20 million unit forecast down to 18.5 million units. An actual price reduction + a hardware revision + Pokemon Gen 8/Animal Crossing should make the 20 million units forecast very achievable for FY2019.